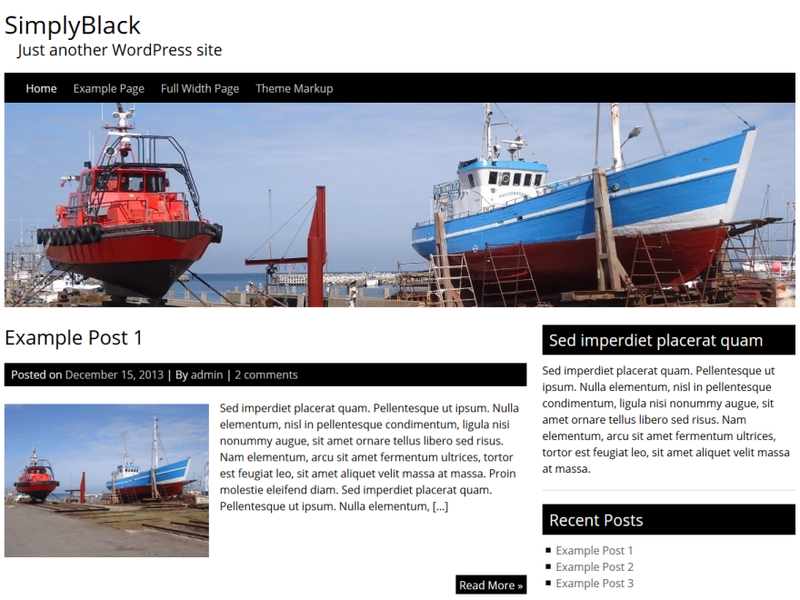 SimplyBlack is a free, basic, clean, minimalistic, responsive, mobile friendly WordPress theme. Default theme language is English but Dutch, German, Spanish and French are supported too. Primary sidebar, 3 widget-area’s in footer, custom header-image, custom background, display logo or blogname and description, full width page-template and dropdown navigation are included. Besides this no theme settings page, no fancy options, no slideshow, this one only has the basic options. Enjoy.